I only went to work from 8:15am to noon. On Monday I start a temporary position for the next four months (into February, 2016) as a program leader in my office. In federal parlance, it’s called a “detail.” It’s a promotion while I’m in this acting capacity and should be a good experience. I went home and leisurely prepared for a round of golf with my next-door neighbor. We hit 12 holes of golf at Hill Field Golf Course. My neighbor is retired but he mows the grass at the course once a week to get him some free golf. He invited me to accompany him for a round. All I had to pay for was the cart fee and then we played as many holes as we wanted. Shortly after our golf, we turned on the World Series and watched the Mets (yay, National League!) finally win a game against the Royals (boo, American League!). My girls are the drivers behind getting the game on and watching it — Abby in particular. 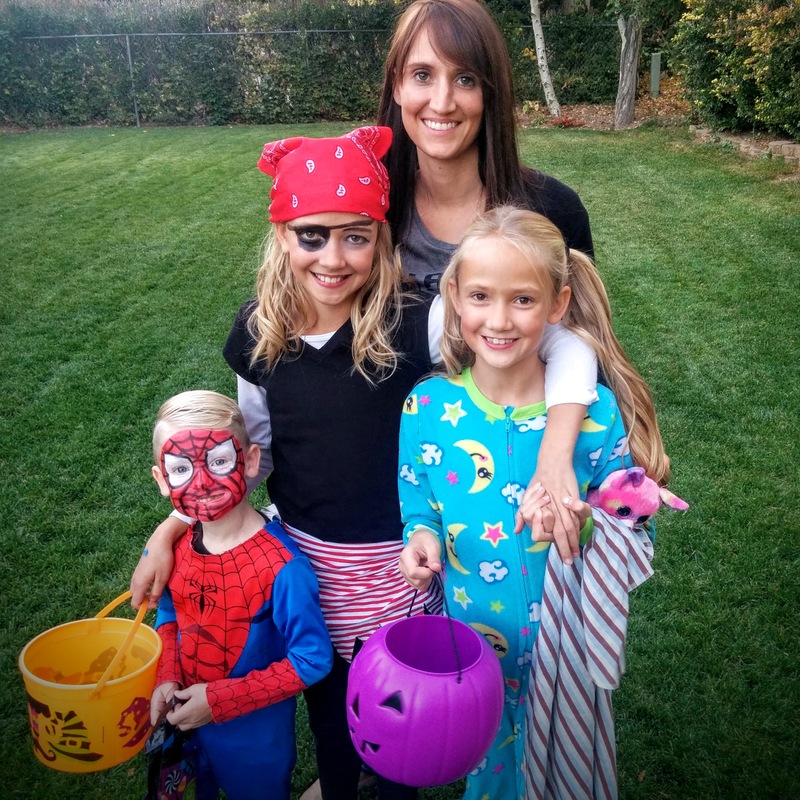 At 9:45pm, we welcomed a babysitter into our home to make sure my kids were safe in the event of an emergency while Jen and I drove to downtown SLC. Earlier in the day Jen’s cousin called and said, “Hey, I’ve got two extra tickets to watch Garth Brooks and Tricia Yearwood in concert – from a suite! Do you want to come?” Jen jumped at the opportunity and told me I was accompanying her. No problem. He’s got a bunch of good, timeless country songs and we had a great time at the concert. Free food, comfortable seats, and a hot date! The concert actually started at 11:30pm and we left at 1:30am to release our high school-aged baby sitter. By the way, I’m old. Going to bed at 2:30am is difficult for me. We slept in! Kinda. We tried our hardest to convince the kids to watch TV, find some food, do whatever until we could wake from our slumber. Unfortunately, we didn’t have any easy-to-deal-with food in the house (like, cold cereal) so they wouldn’t let us sleep in long. After breakfast, we mowed the lawn and raked leaves. But not in that order. Happy to have that done. At 1:30pm, I met a friend to go mountain biking. 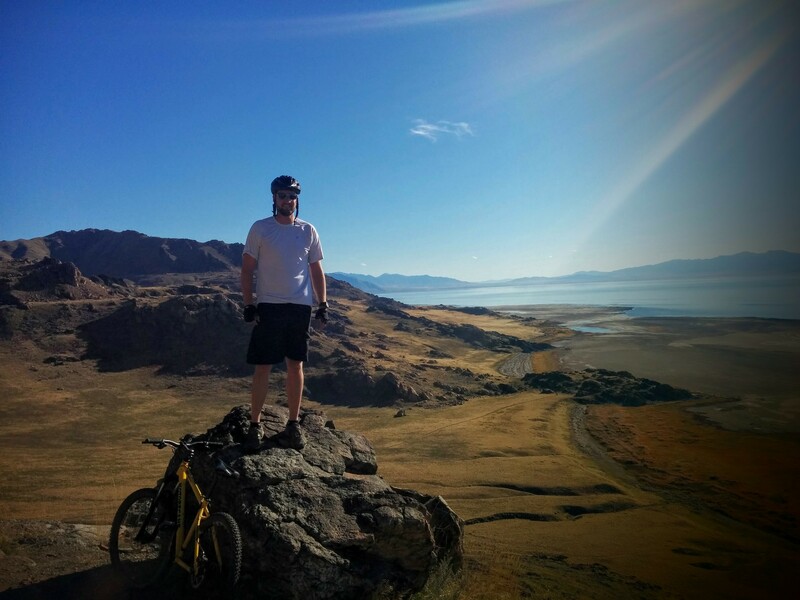 We went to Antelope Island — only half an hour drive from my house — and hit the White Rock loop and Elephant Head trail. In all, we rode a little over 14 miles in more than 2 hours of riding. 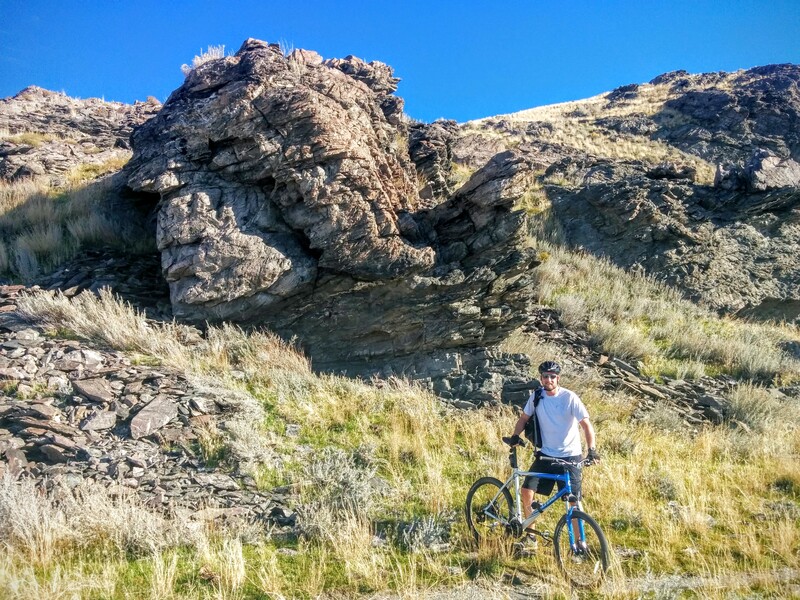 I hadn’t done a mountain bike ride that long in a few years and my thighs cramped up. I also got a flat tire, but we were prepared to deal with that on the trail. It was an awesome day on the island. While I was biking, Jen and the kids made one last visit to Lagoon. It closes for the winter on Halloween and won’t open again until Memorial Day. They took good advantage of their season passes this year. Oh yeah, we celebrated Halloween. Kids and Jen went trick or treating while I manned the door here at home for the 10 or so knocks we got (we’re on a quiet street!). We watched more baseball as a family, read scriptures, said prayers, and sent everyone to bed. Some pictures of the activities are below. Can you see why they call this elephant head? 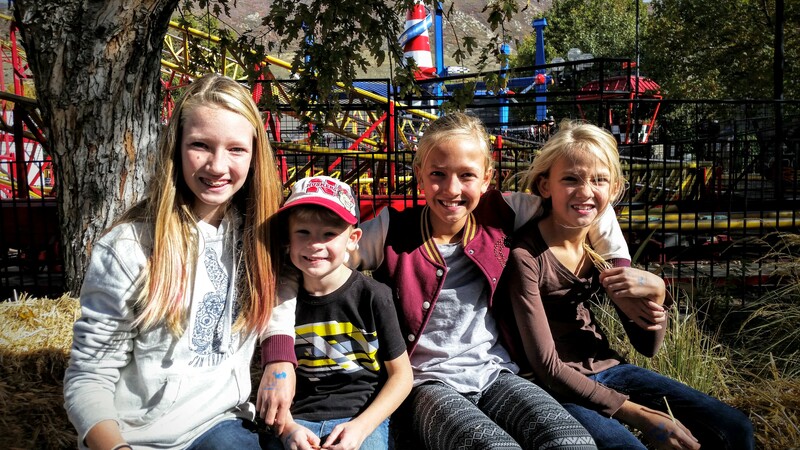 Last day at Lagoon for 2015! I’m really slow in reading this. I honestly didn’t think anybody posted. I’m glad you did. I have repented and will check often on the family blogs because I really do like them. I like to keep in touch with the things that you are doing. Good post, good pictures.